The Firm has extensive experience in business bankruptcies, workouts, and reorganizations as well as consumer bankruptcies. The Firm’s lawyers have been involved in hundreds of workouts and bankruptcy matters, including mega-case reorganizations. The Firm’s bankruptcy section consists of attorneys Jeffrey Wells Oppel and Charles N. “Boots” Goldberg who offer many years of bankruptcy experience in cases across the country. Mr. Oppel while at the law firm of Andrews & Kurth represented billion dollar corporations, financial institutions, and governmental agencies in some of the largest bankruptcies in the country. Mr. Oppel continued his bankruptcy practice at Broocks, Baker & Lange where he represented debtors, trustees, and creditor’s committees in addition to creditors. Recently, Mr. Oppel represented debtors and creditors in healthcare bankruptcies including the representation of Community Health Inc., a non-profit hospital in the Beaumont, Texas area, which successfully reorganized in Chapter 11. Boots Goldberg has practiced bankruptcy law for over thirty years with a particular emphasis on real estate reorganizations. Mr. Goldberg has successfully reorganized debtors under Chapter 11 in all four districts of the State of Texas. The Firm’s Bankruptcy Section includes trained paralegals that regularly assist in bankruptcy matters as well as a support staff well experienced in the time critical practice of bankruptcy law. The attorneys in the bankruptcy section have been involved in representing major debtors and creditors in bankruptcies involving oil and gas companies, airlines, pipeline companies, healthcare companies, retail companies, office buildings, apartment complexes, and others. 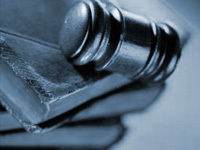 The Firm is also well versed in all facets of bankruptcy litigation, including avoidance actions, confirmation disputes, and discharge challenges. Messrs. Oppel and Goldberg are not certified in Business or Consumer Bankruptcy by the Texas Board of Legal Specialization.